If you or a loved one was seriously injured by the carelessness of a doctor, nurse, or other medical professional, you may be able to pursue financial restitution for your harms and losses against that individual and/or the hospital. 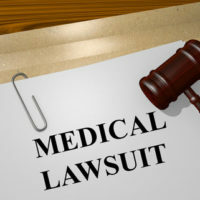 But it is important to understand that tort reform laws in Georgia have put in place significant hurdles and limitations on medical malpractice lawsuits. This is why a viable medical malpractice case must involve a grievous injury or loss of life. In Georgia, you have two years from the date of the injury to file a lawsuit. However, if you attempt to file a lawsuit the day before, or the day of, the expiration of the statute of limitation, your case will likely get thrown out in short order due to the myriad filing requirements that must accompany a medical malpractice lawsuit. This is why it is so important to retain an experienced Georgia medical malpractice attorney at least six months, but preferably a year, prior to the expiration of the statute of limitations. Ideally, you should contact a lawyer shortly after the injury or death occurred so all relevant evidence can be preserved. In order to allow adequate time for case evaluation, finding appropriate expert witnesses, and preparation of the case before filing suit. A big reason why you need to contact a medical malpractice lawyer sooner rather than later is the requirement that an expert witness sign an affidavit declaring that the applicable standard of care was violated by your doctor. And this affidavit cannot be signed by just any doctor. The doctor vouching for your case must meet the following requirements: (i) be a member of the same profession, (ii) be regularly engaged in practice or teaching three of the past five years in the same area of practice or specialty and (iii) practice or teach with sufficient frequency to establish that they have an appropriate level of knowledge. And this is subject to the discretion of the judge assigned to your case. Furthermore, this affidavit must be filed concomitantly with the complaint against your doctor. There is no grace period. Basically, if you do not have this affidavit, your malpractice suit will be dismissed. One bright spot in Georgia medical malpractice law is the fact that Georgia no longer has a cap on recoverable damages. In 2005, state lawmakers did pass a cap on noneconomic damages allowed in medical malpractice cases to just $350,000 per facility per victim and $1.05 million in any single case. However, the Georgia Supreme Court struck down this cap in 2010. This means the only statutory cap on damages remaining in Georgia is for punitive damages (capped at $250,000). There is no limit on the amount that can be recovered for your medical bills, lost wages, and pain and suffering. Suffering a serious injury, or losing a loved one, due to the recklessness of a medical professional can be an overwhelming and traumatic experience. Gillette Law, P.A. is here to help. We serve clients throughout Georgia and have handled complex medical negligence cases. Contact the firm online, or call us at 904-358-1304 to schedule a free consultation.